by Sallah Jenkins and Alma Roberts. The second Psymposia event of the season will take place here at the Eubie Blake Cultural Center. For more information and to reserve tickets, click here. 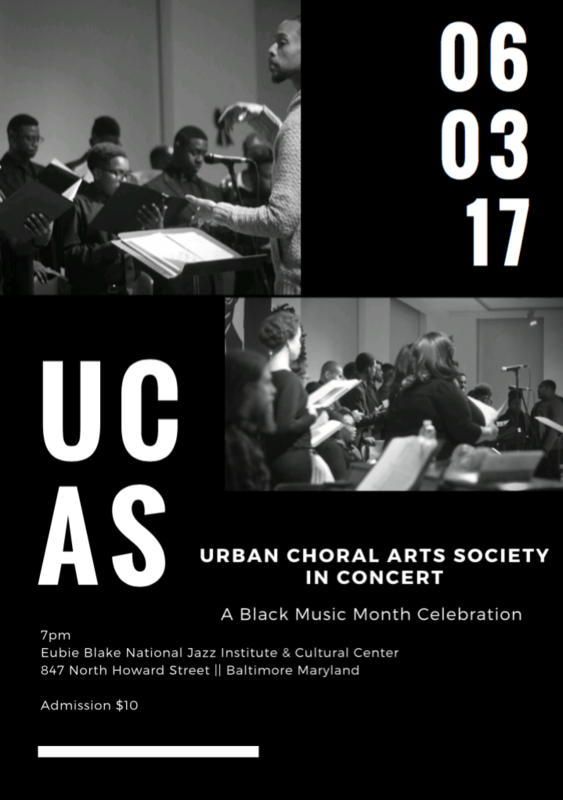 Join the Urban Choral Arts Society for a celebration of Black Music Month on Saturday, June 3rd. For more information and tickets, click here. 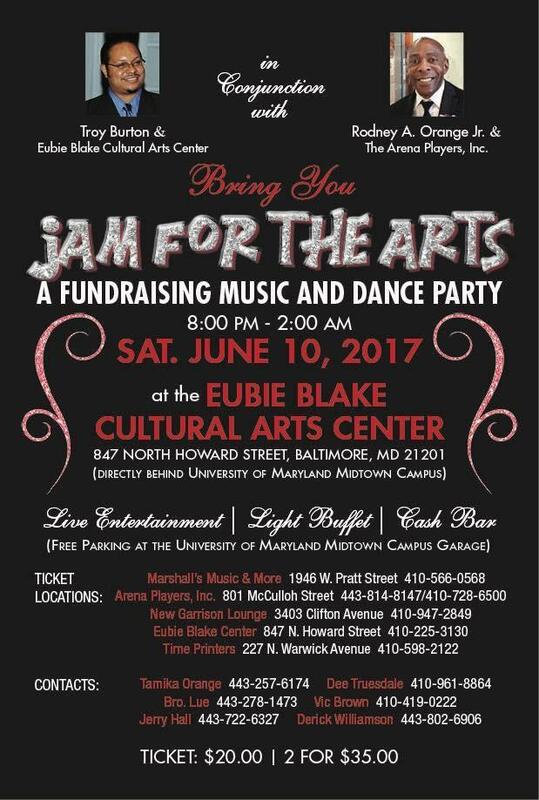 Join the Eubie Blake Cultural Center and Arena Players as we fundraise for the arts! This will be a night full of food, fun, and festivities, and the proceeds will go towards programming at the at both organizations. Tickets and more information can be found here. 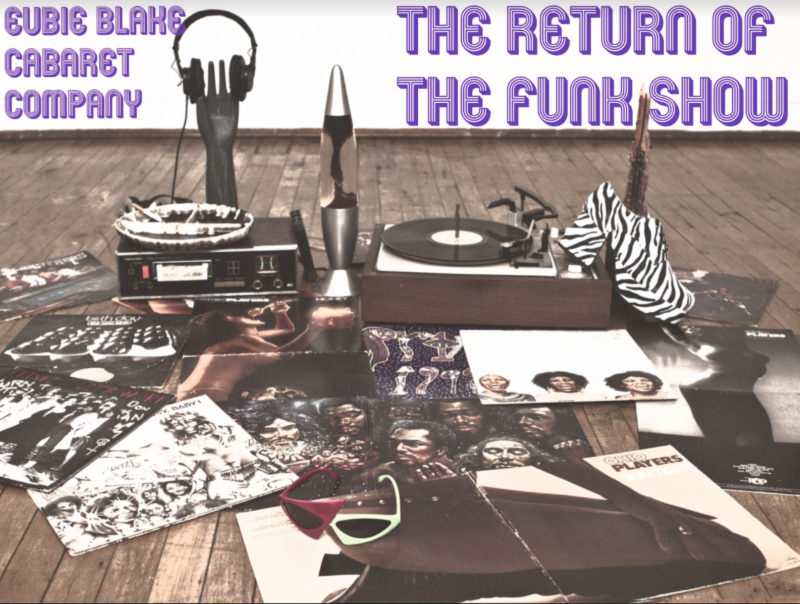 Directed by Troy Burton, performed by the Eubie Blake Cabaret Company, and featuring the music of: Parliament Funkadelic, James Brown, Cameo, The Gap Band, Rick James, George Duke, Heatwave, Instant Funk, Aretha Franklin, Mother's Finest and Parlet. Come dressed in your favorite funkdafied clothing. WHEN: Friday, June 16th and Saturday, June 17th. Doors open at 7pm. Performance at 8pm. 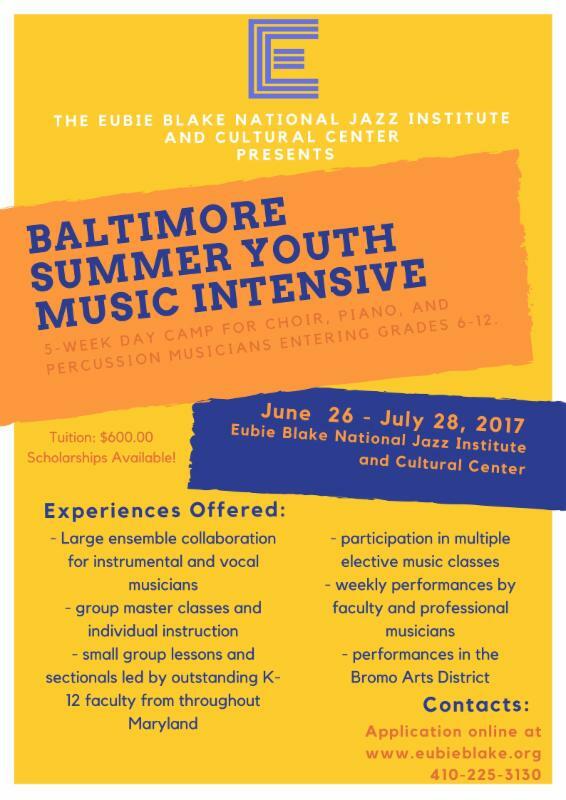 The Baltimore Summer Youth Music Intensive is accepting applications now! Click here to apply. 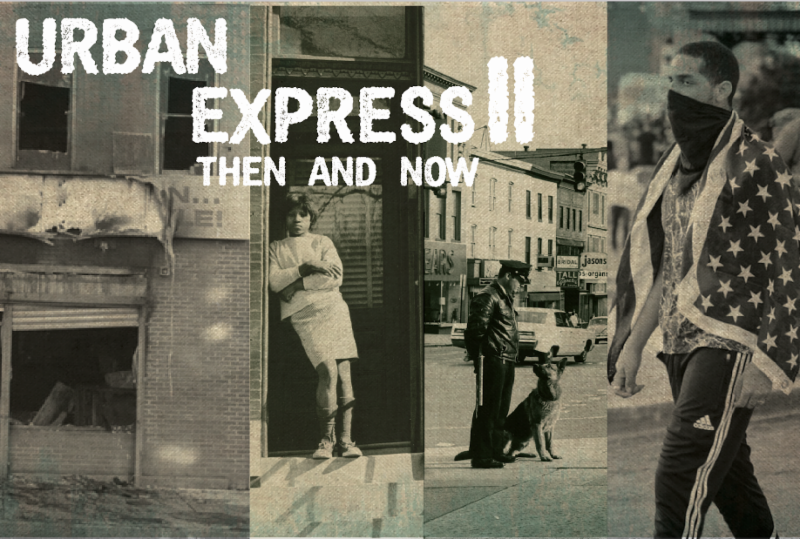 This Fall, the Eubie Blake Cultural Center will present Urban Express II: Then and Now, sponsored by Maryland Humanities. 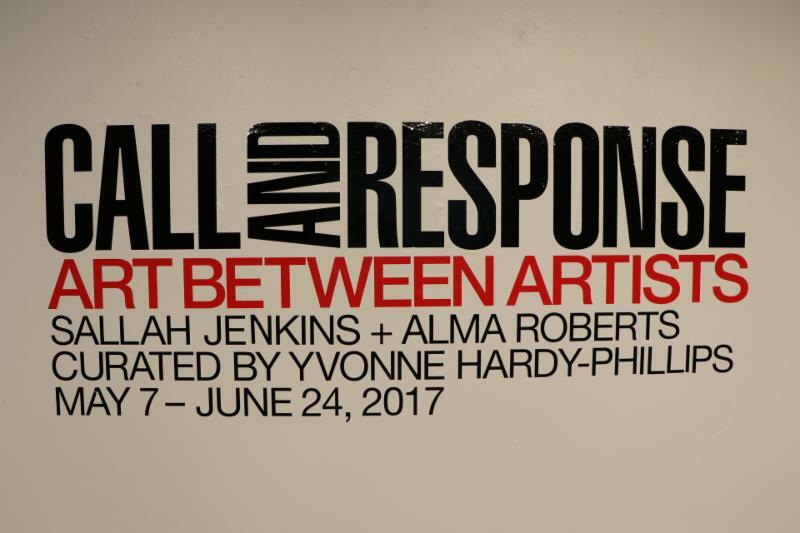 Join us for panel discussions, writing workshops, an art exhibit, and more! And be sure to follow us on social media for updates.